Under price hikes that were to go in effect on Saturday, gas prices were to rise 38 percent and diesel and kerosene even higher, the Miami Herald reported. After more than a day of protests, President Jovenel Moïse said fuel prices would revert to their original rates and urged protesters to go home. At least three air carriers resumed flying in and out of Port-au-Prince on Sunday. 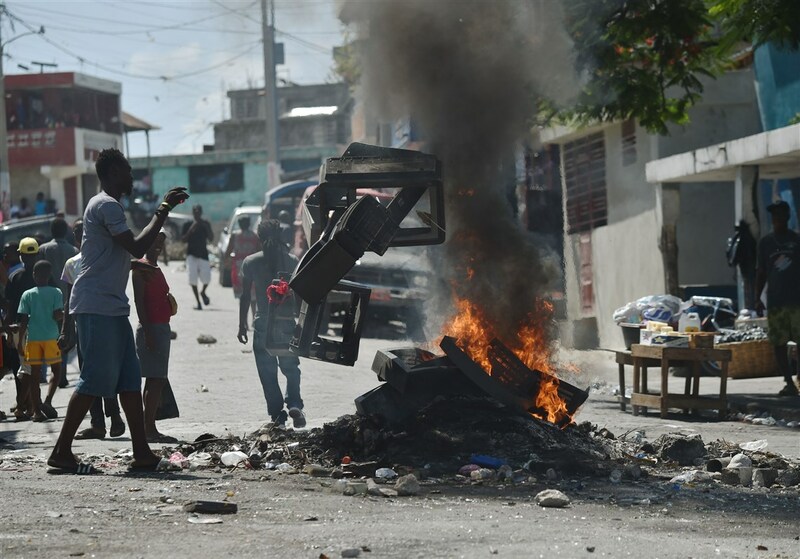 The U.S. Embassy in Haiti tweeted Monday morning, however, that flights are overbooked and roadblocks are in place in two routes into Port-au-Prince. “We continue to advise U.S. citizens to shelter in place at this time,” the embassy tweeted. And here I thought the Clinton Global Initiative Fund had turned Haiti into a paradise years ago. I’m shocked I tell you!